During Jacob’s junior year of high school, he spent most days after school practicing and leading worship at our church’s youth group. The female vocals were provided by the adorable pastor’s daughter whose hair could rival Rapunzel’s any day. Naturally, he developed a little crush on her and decided to ask her to Winter Formal. For some reason, I have vivid memories of this event. I remember he picked her up in his black Audi (the same one he impressed me with on our first date… awkward…). I also remember that she was wearing the most beautiful dress I had ever seen at the time (I thought she looked like Belle from Beauty and the Beast). 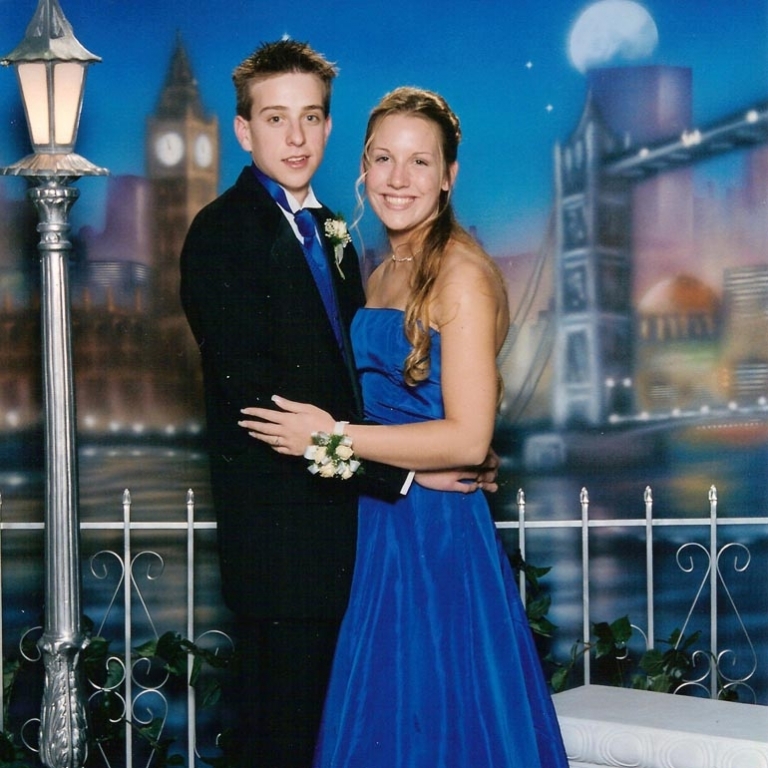 Being in 7th grade at the time, I remember pestering her the next day for all of the details of her first high school dance. She told me all about what a gentleman he was: opening her door for her, pulling out her chair, telling her how nice she looked, taking her out for a treat of Cold Stone ice cream after the dance and how he walked her to the door 10 minutes before curfew like a true gentleman and how he somehow managed to have roses waiting for her when she arrived. Attached to them was a note that read: “Thanks for a great night. Jacob.” I could not believe that after spending all this energy and money taking a girl to prom who didn’t even like him back that he would then go out of his way yet again and give her roses to thank her for going with him. And even though he seemed too good to be true, and I may not have realized it then, but I started to hope that someday I would be with someone who would treat me that way. To this day, I love seeing this picture because 1) it makes me laugh, 2) I still think Jacob looks cute in it, and 3) it is a reminder of how strange our love story is and how long it has been in the making.